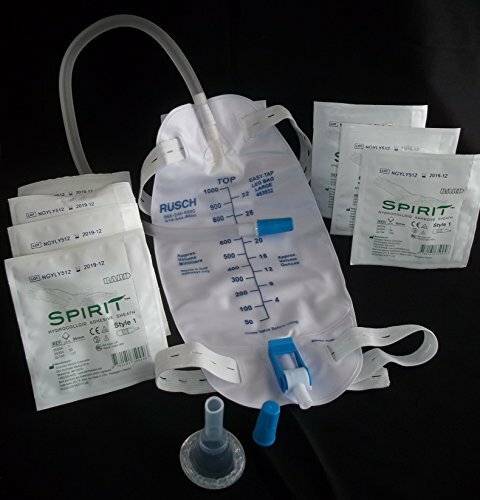 The urinary incontinence kit is made to use for post surgery ease. The one-week kit of high quality urinary incontinence contains seen self-sealing condom catheters, a leg bag with tubing, and the adjustable leg strap. The leg bag can hold up to 1000 ml of fluid in it. It is highly used in hospital urinary incontinence after surgery. Find the complete kit of urinary incontinence bag from Amazon online shopping in Pakistan and get it at your local with cash on delivery facility. Title: Complete Kit Urinary Incontinence One-Week, 7-Condom Catheters Self-Seal External 29mm (Medium), + Premium Leg Bag 1000ml Tubing, Straps & Fast and Easy Draining.